Large tracts of forests in Burkina Faso are to be mapped and classified, some parts will be protected and other areas will be earmarked for reforestation, according to a new "sustainable forest management" project in the Sahelian country. 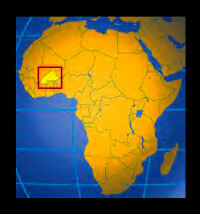 Burkina Faso is located in the middle of the belt of semi-arid areas crossing West Africa. 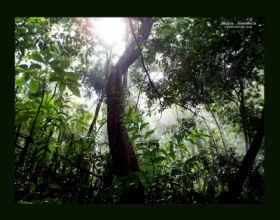 A characteristic of this area is a forest that is strongly influenced by man's activities and where certain species that are chiefly valued for their fruits are left after the remaining forest has been cleared for cultivation. The naturally forested vegetation in Burkina Faso has been cut back to almost zero during the last half of the 20th century. While in 1958, an estimated 74 percent of Burkina Faso was covered by "natural" (not influenced by humans) forest vegetation, twenty years later, this was reduced to 1.4 percent, while cultivated land and young fallows covered over 70 percent of the country. These trends have somewhat be reversed in the 1990s, but the few natural forests are poorly managed. Therefore, the Burkinabe government is now to spend US$ 18.7 million on an extensive programme to manage the country's forests in a sustainable manner. The project includes Burkina Faso's South-West, Centre-East and East Regions. The project involves the preparation of an inventory and development of 202,400 hectares of forests made up of 82,400 hectares of classified forests and 120,000 hectares of protected forests as well as the reforestation of 53,350 hectares of forests. 50,000 ha will be reforested by direct planting and 3,350 ha by improvement planting. It further includes the reforestation of banks of dam reservoirs on 4,800 ha (2,800 ha by direct planting and 2,000 ha by improvement planting), wildlife management in general and the management of the Bontioli wildlife reserve and Koulbi-Bontioli corridor. Furthermore, the project is supposed to undertake the rehabilitation of 300 km of feeder roads, the construction of various facilities as well as the promotion of income generating activities. According to the project summary, it will also involve the participation of the populations living near the forests and "enable them to improve their living conditions. It will involve the demarcation of 180 village lands and curb the destruction of forests and environmental degradation." The project is to be financed by the Burkinabe government, which now has achieved a loan from the African Development Fund to assure its implementation. The ADF this week agreed to borrow $US 16.60 million to the government of Burkina Faso to finance the project, which equals 89 percent of the project's total budget.